Withdrawn from the TPP, frozen government hiring, reinstated a ban on international abortion counseling, attacked the ACA, gave a greenlight for the construction of the Keystone XL and Dakota Access Pipelines, ordered a wall on Mexico’s border, threatened to defund Sanctuary Cities, fired the Acting Attorney General, and instituted a travel ban on refugees from seven majority Muslim countries. That's a mouthful, and it’s easy to feel overwhelmed and disheartened. But also remember that our resistance has had victories of its own: Seattle divested $3 Billion from DAPL and Wells Fargo (while individuals across the country have divested over $55 million), protestors won a stay against Trump's immigration ban, stopped the GOP from gutting the Office of Congressional ethics, and showed up in millions to protest the inauguration. While we may not have won, it's up to us to keep fighting. Below you'll find updates on the latest executive orders and movement responses. Plus, some tools from our members on how we continue to build alternatives while resisting heinous policies. The Power of Airport Protest: On Friday, President Trump issued an executive order to ban the entry of citizens from seven countries with major Muslim populations (including U.S. residents). The order spurred a wave of protests at airports across the nation eventually prompting the Trump administration to amend the ban and allow current green card holders to stay. The protests continue as some detainees at airports such as Dulles in Texas have been refused lawyers and release by state officials and the Department of Homeland Security. The Judicial Branch Grabs Back: After demonstrations at John F. Kennedy Airport a federal court blocked airports around the country from enforcing the executive order. At least four other states have followed suit taking the first step in what will be a legal battle over whether or not the order is constitutional. On Monday, Acting Attorney General Sally Yates ordered the Justice Department not to defend challenges to the executive order. She was later fired. What’s Uber Got to do With It? Taxi drivers at JFK joined protesters on Friday by halting pick-ups at the airport. Meanwhile, Uber (whose CEO Travis Kalanick serves on a business advisory council to the president) lowered prices, drawing criticisms of strike-breaking. Since then, calls to #DeleteUber have spread across the internet in favor of number of more worker-friendly options like these co-operative ride-shares. #noDAPL: Trump issued a memorandum calling for the Army Corps of Engineers to reconsider whether or not the Environmental Impact Statement process for the Dakota Access Pipeline is necessary. While the order does not mean that an easment will necessarily be granted, the Corps has been instructed by the acting secretary of the Army move forward. The Standing Rock Sioux tribe and water protectors are asking supporters to submit a comment and push for a full review before February 20th. In the meantime, seven banks financing the projects have agreed to meet with the tribe. For the big picture, check out this special report from YES! Magazine on seven native-lead resistance movements you should know about. Sanctuary Cities: More than a dozen “sanctuary cities” stand in defiance of the Executive Order Donald Trump signed on Wednesday, January 25th , which would cut federal funds to governments that refused to cooperate with immigrant detentions. The Center for Social Inclusion is keeping track of governors who vow to stand against the executive order. Some opponents of the order, including democrats in California, are exploring the idea of a tax boycott in response. Small Business: On Monday, the president signed an executive order mandating that for every new regulation created, two must be eliminated. The Trump administration claims the measure will make it easier for small businesses to succeed but environmentalists fear it will only discourage progress on the policy front. Take Back Power: In this interview with GritTV, Aaron Tanaka, director of the Center for Economic Democracy, talks to Laura Flanders about how we fight back and how communities can build the governance power and infrastructure to take power and meet their own needs pulling on experience with the Ujima Project in Boston. Watch it here. Rolling Back Inclusion: The Democracy Collaborative has launched a tracker to keep tabs on new federal attacks against the access of marginalized communities to affordable housing, good jobs, and an equitable and inclusive development. Check it out here. 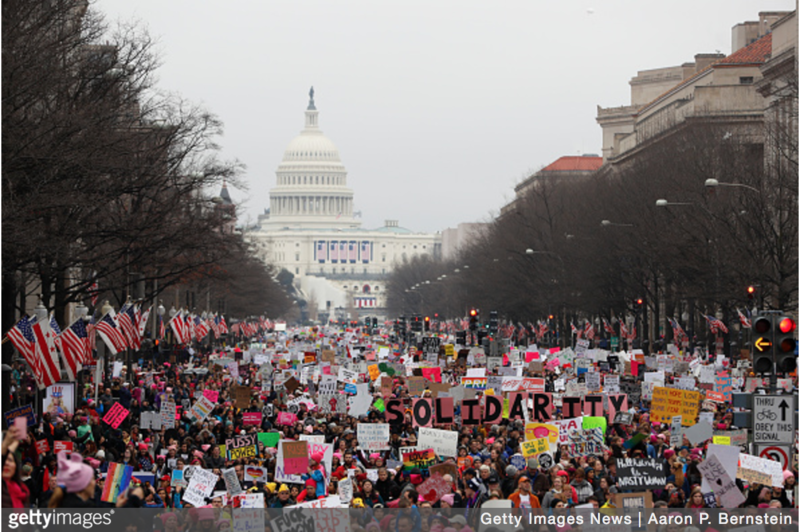 How we win: Waging Non-Violence put together a ten-step guide for resistance that goes beyond attending a protest and calling your representatives. Those actions are great, but this moment calls for strengthening our connection to civic institutions, taking the offensive, and linking our movements together. Read the guide. Breathe, then Organize: The Trump administration’s political firestorm has many of us feeling overwhelmed and not knowing where to be most helpful. Our friends at the Icarus Project put together a guide to help plan your actions when everything feels like too much. Check it out. Resistance Manual: This resistance manual from Stay Woke is an open-source, collaborative tool where you can find (and add) the latest actions, news updates, and briefings by issue. Why Did Miami Submit to Trump's Executive Order? Regional Director, Community Purchasing Alliance, Washington D.C.